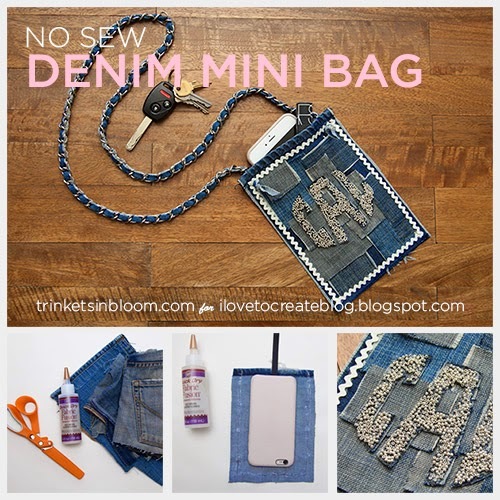 With summer right around the corner and music festival season in full swing, it’s the perfect time to make a super cute and easy No Sew Denim Mini Bag! I have to admit that I mostly carry a huge bag with all my worldly possessions, crazy I know! 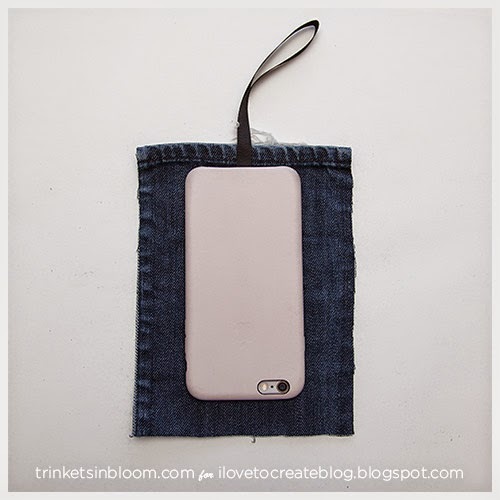 So I really love the idea of a small bag that will just fit the basic necessities; phone, cards, lipstick and keys. 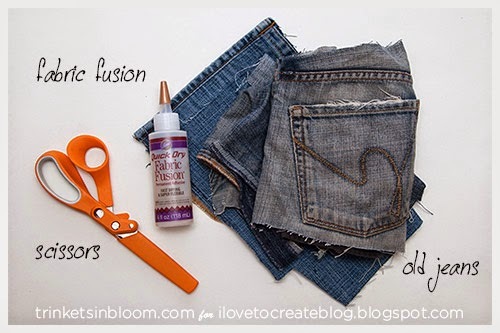 Using some old jeans and Aleene’s Quick Dry Fabric Fusion this is a really quick, fun and easy (not to mention inexpensive) project. Let’s get started! Extra embellishments: rick rack, beads, chain, etc. 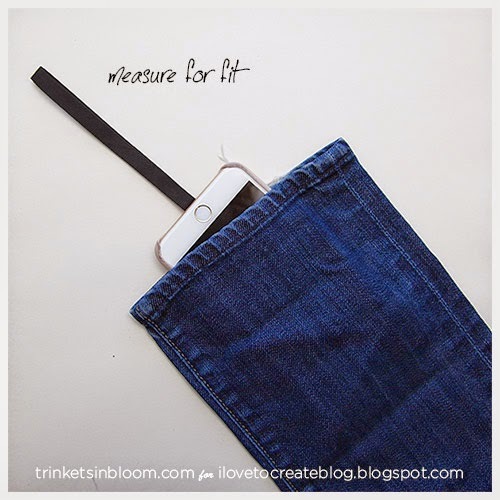 I wanted my bag to fit my phone, so I measured around my phone to cut my denim. I also used the bottom of one pant leg to make this so I wouldn’t have to hem the top or have it fray too much. Be sure to leave at least 1 inch all the way around. 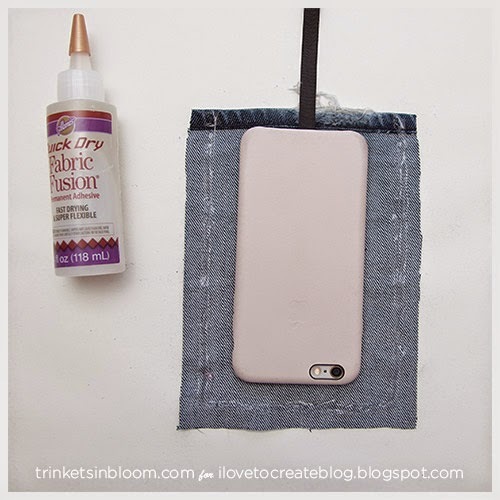 Using your Aleene’s Quick Dry Fabric Fusion, put a strip of glue all along 3 edges of your fabric. Make sure not to leave any holes. Press your second piece on top. One of the best things about the Quick Dry Fabric Fusion is that it's thicker and really tacky right away. This helps your fabric hold together without slipping. Which really make a project like this so much easier! 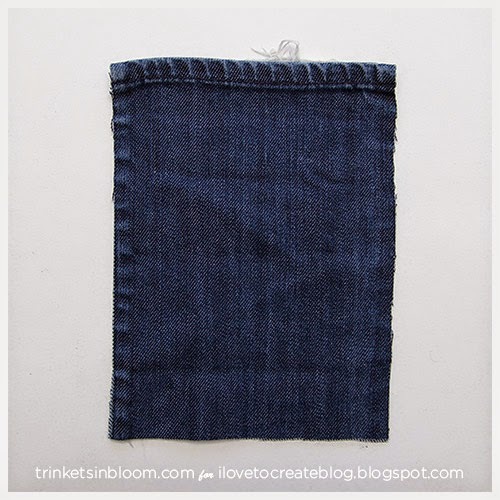 While your bag is drying you can cut out random sizes and colors of denim to create your patches. 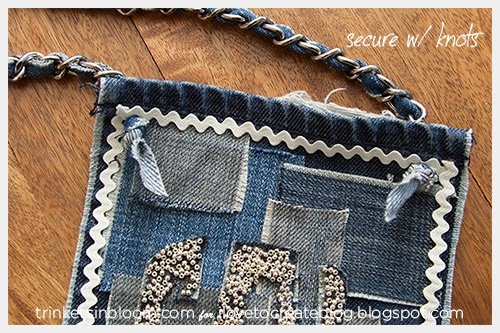 Use your Fabric Fusion to glue them to your bag. 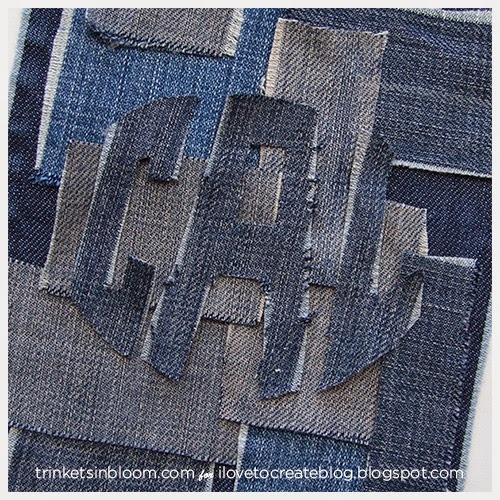 I also created a monogram out of denim. 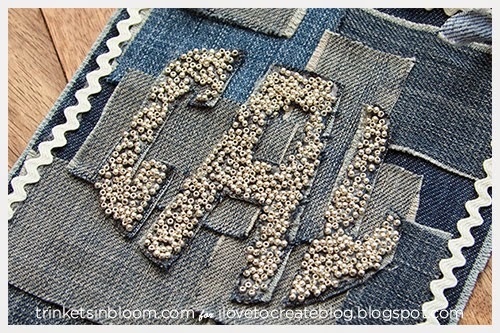 If you want to can also add other embellishments to your bag. I added a rick rack trim and some beads on my monogram. 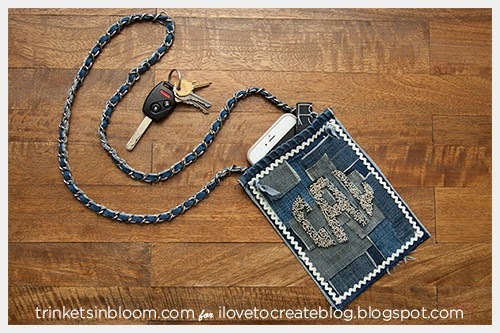 You strap can be made out of most anything. 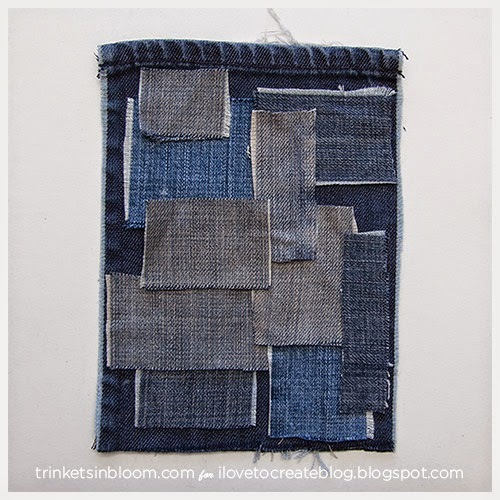 I used a heavy chain and long strips of denim. 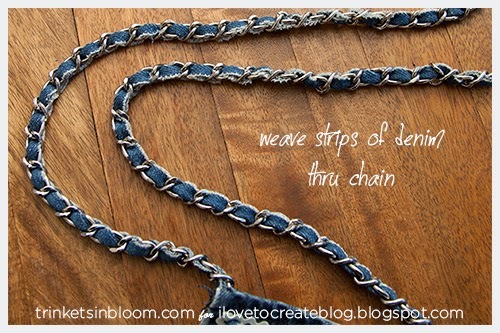 I wove the denim through the chain. To attach my chain strap to my bag I cut 2 holes through both sides of my bag, pushed the ends through and tied knots. No time to make it right now? "Pin it" for later! Girl Jean help? Girls only!? 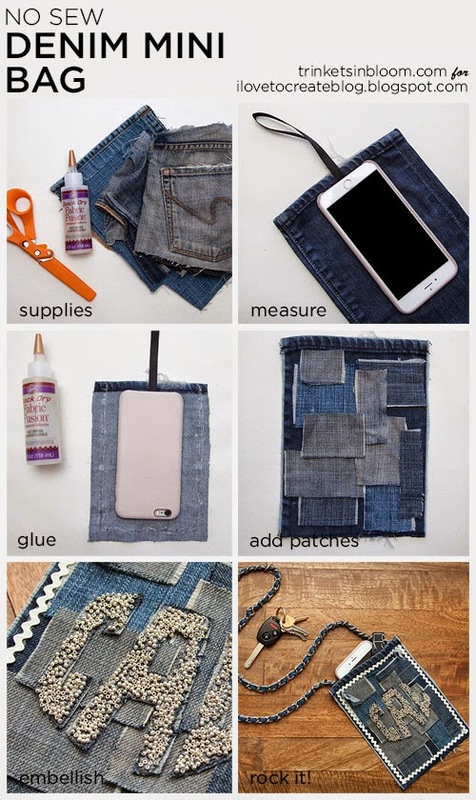 I have many waste jeans that available for this diy project.